Christmas Survival Guide Part 6 – Need someone to talk to? If you feel at any point during the Christmas holiday period that you need to talk to someone, do not hesitate to get in touch with one of the following services. The Samaritan’s are open 24 hours a day, 7 days a week and offer confidential support for anyone who is struggling or needs someone to talk to. Tel: 116 123 or for the Welsh Language Line: 0300 123 3011 (from 7pm-11pm only, 7 days a week). Email: jo@samaritans.org. The Cardiff & District Samaritans are located at 75 Cowbridge Road East, Canton, Cardiff, CF11 9AF. You can access our drop-in from Monday-Friday 3-3:45pm for a 10-15 non-bookable appointment to have an initial chat with us or, alternatively, please refer into our service by completing our referral questionnaire. We are open from 9am – 4pm Monday-Friday but close on Thursday 24th December at 4pm until Monday 4th January at 9am. For urgent advice when the Student Support Centre is closed please follow the advice and contacts on the intranet. The programmes are based on Cognitive Behavioural Therapy (CBT), which is an effective way of learning about thoughts, feelings and behaviours, and how they influence each other. It can help you understand the way you react and respond in certain situations and work towards a goal for positive change. Each programme aims to support the learning of new coping techniques, develop self-awareness, challenge negative thoughts and improve mood. Why not use the holidays to work your way through one or more of these modules. Cardiff Nightline is a confidential student led phone service. They provide confidential support and services to students in the Cardiff area. Nightline is open every night during term time between 8pm and 8am. Tel: (029) 2087 0555. Nightline is only accessible during term time. Student Minds Cardiff is a Student Led Service, helping to support students with eating disorders by facilitating weekly self-help support groups. We also aim to raise awareness of all mental health disorders, and host fundraising events. The self-help support groups are held every Thursday, 6.15-7.15pm, in room 4H at Cardiff University Students’ Union. For the latest news from Student Minds you can find then on twitter and facebook. We hope this blog post has been helpful; please see our other blogs for more information. For urgent advice out of hours please follow the advice and contacts on the University intranet. 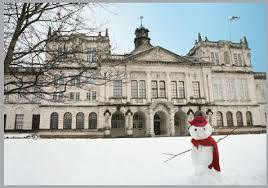 The Student Support Centres are located at 50 Park Place, Cathays Campus and Cardigan House, Heath ParkCampus.